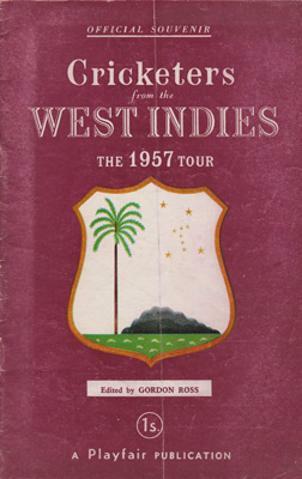 Signed by 14 of the West Indies Touring Party, inc: Malcolm Marshall, Courtney Walsh, Gordon Greenidge, Desmond Haynes, Joel Garner, Jeff Dujon, Richie Richardson, Gus Logie, Eldine Baptiste, Larry Gomes, Roger Harper, Winston Davis, Thelston Payne & Tour Manager John L. Hendricks. 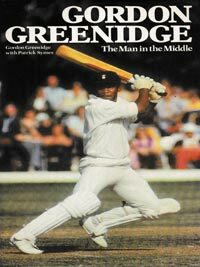 Also signed on the cover by long-serving team physio Dennis Waight. 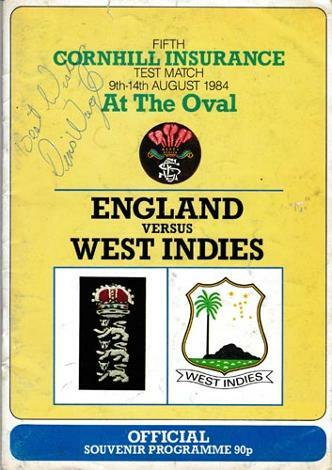 Also signed inside by eight England players inc: David Gower, Jonathan Agnew, Allan Lamb, Chris Broad & Chris Tavare. 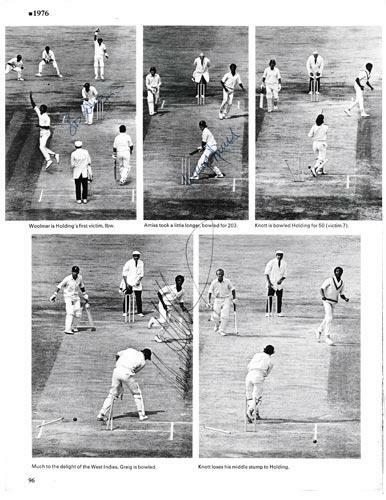 Autograph West Indies "Mind the Windows" montage. 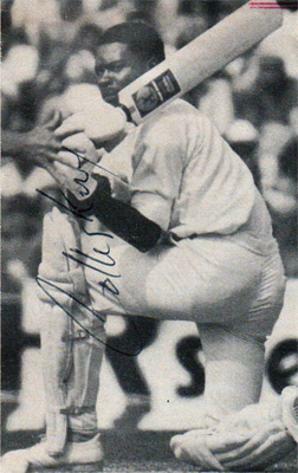 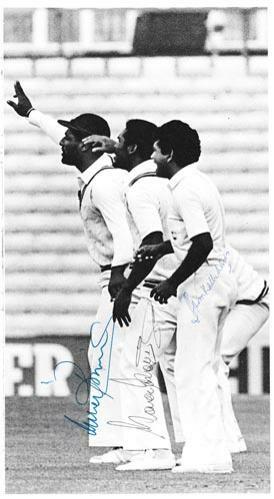 Signed B&W action pic - clean bowling Yardley during the Bridgetown Test match against Australia in 1978. 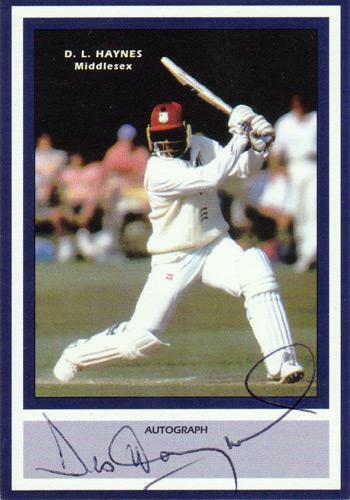 Signed West Indies player card. 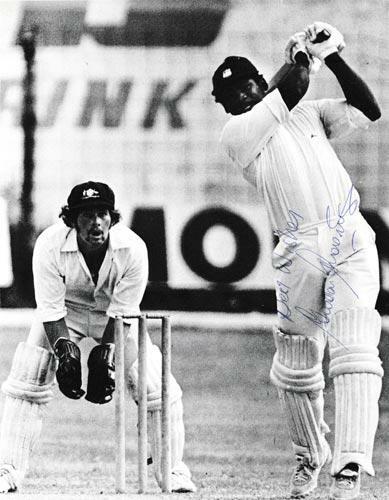 Signed B&W pic from the First Test against Australia in Port of Spain in 1978. 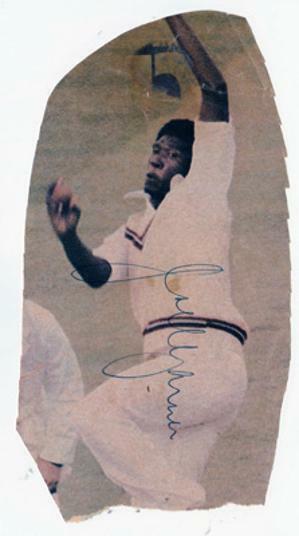 Signed colour mag action pic (cut out). 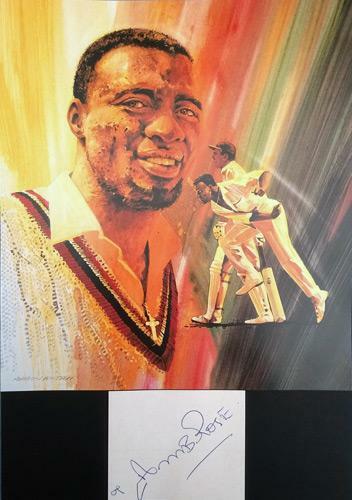 Signed "Big Bird" 1986 Benefit Brochure. 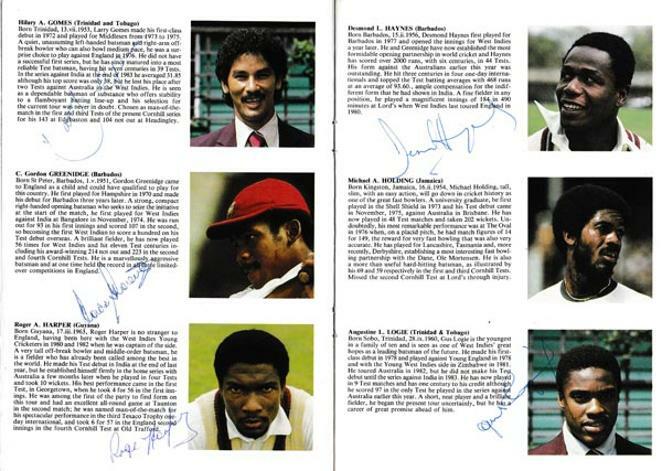 Signed Lord's Taverners book page. 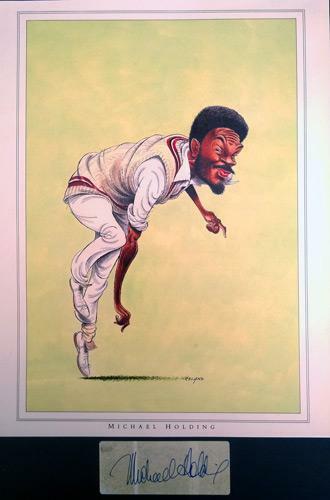 Approx size: 20 x 26 cms. 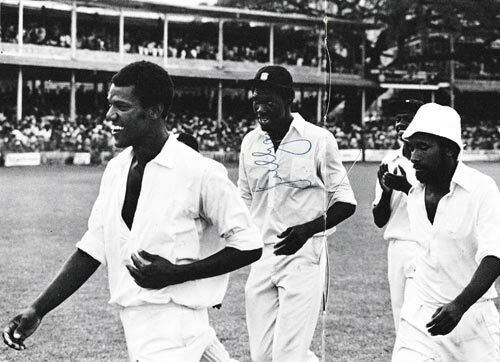 Signed 1978 B&W West Indies batting pic. 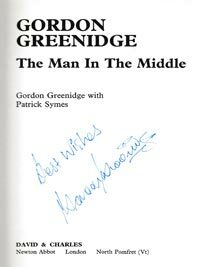 Signed autobiography "The Man in the Middle". 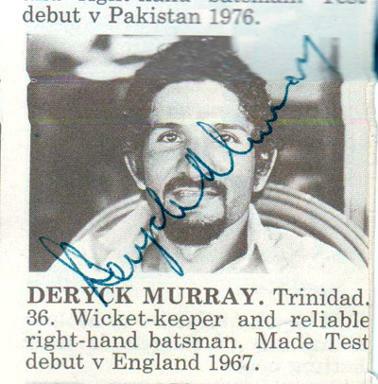 Signed NLW mini cricket bat + accompanying B&W photo affixed to the blade. 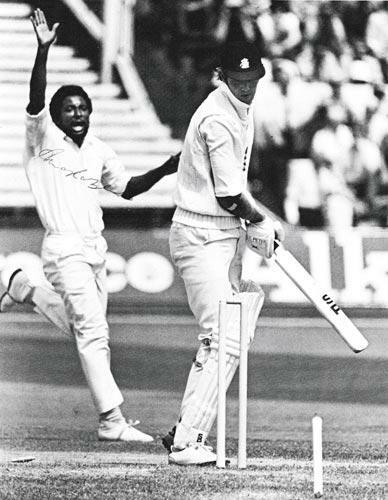 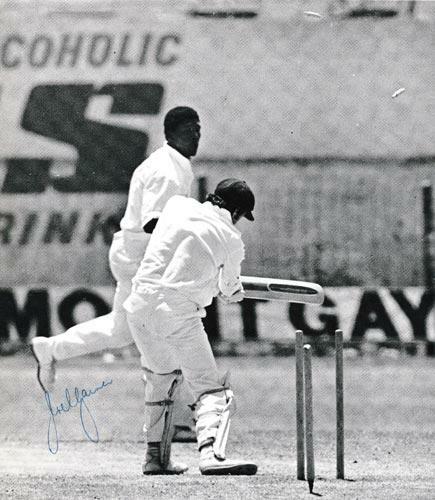 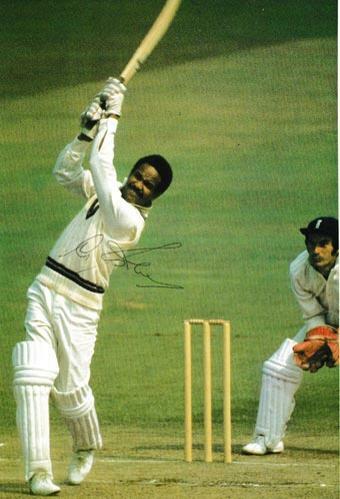 Signed B&W West Indies action pic - batting at Lord's in 1980 en route to 184 against England. 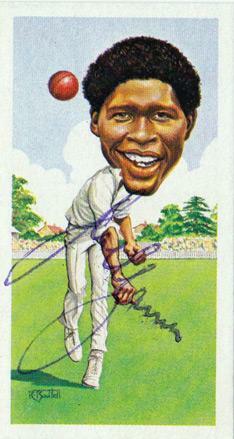 Signed Middlesex CCC player card. 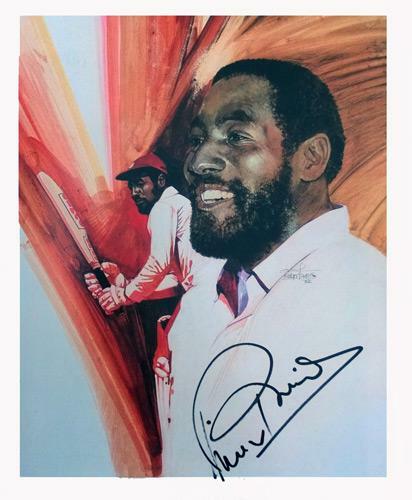 Approx size: 17 x 20 cms. 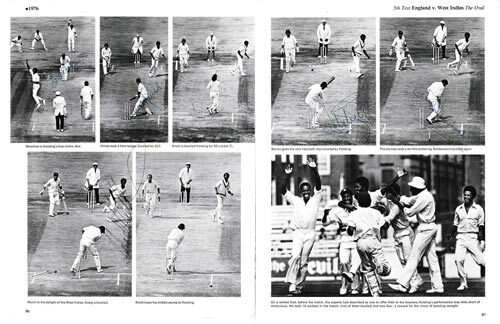 Multi-signed B&W double-page montage from the 1976 Oval 5th Test match v England in which Holding took 14 wickets - pictured and signed by victims Bob Woolmer, Dennis Amiss, Mike Selvey and Chris Balderstone. 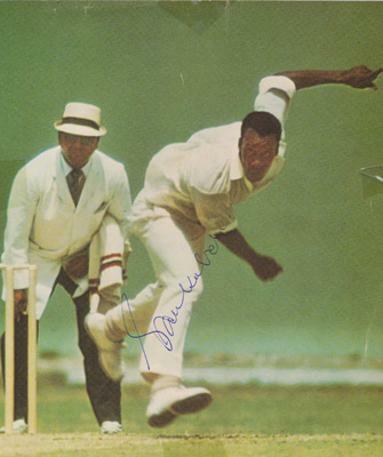 Holding has signed the pic of him bowling England captain Tony Greig. 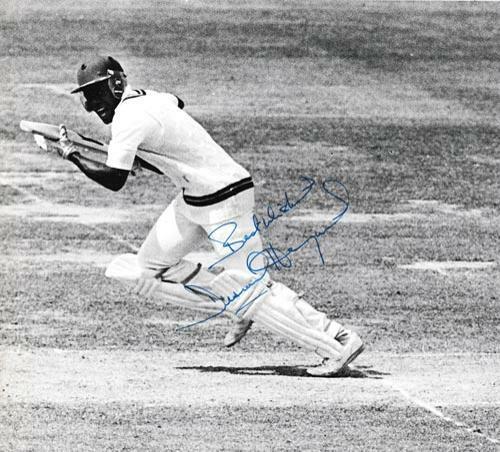 Signed B&W West Indies cricket pic from a Lords Test match v England. 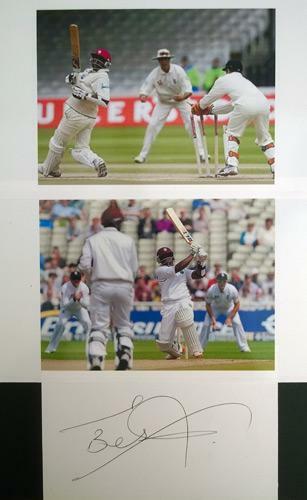 Two B&W pics signed on reverse by England batsman David Steele. 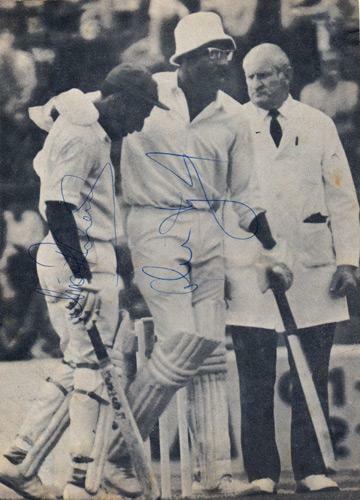 Signed B&W West Indies cricket pic from the 1976 Lords Test match v England. 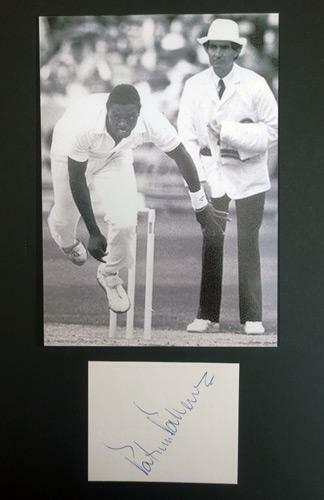 Signed B&W West Indies cricket pic from the 1976 Old Trafford Test match v England - clean bowling Derek Underwood. 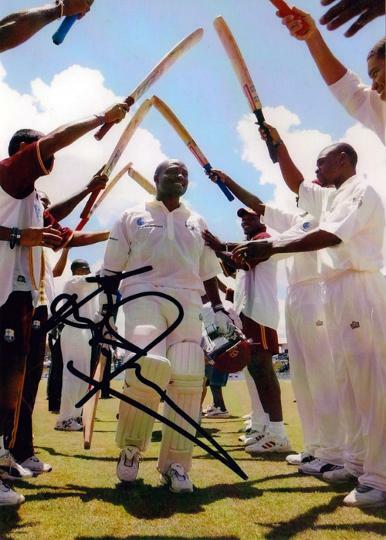 Signed B&W West Indies cricket photo. 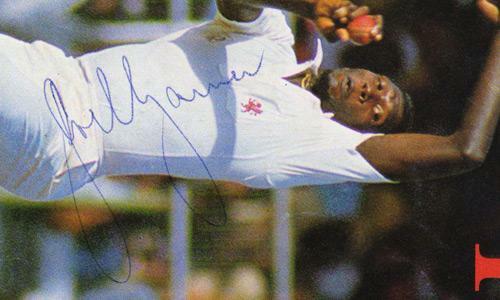 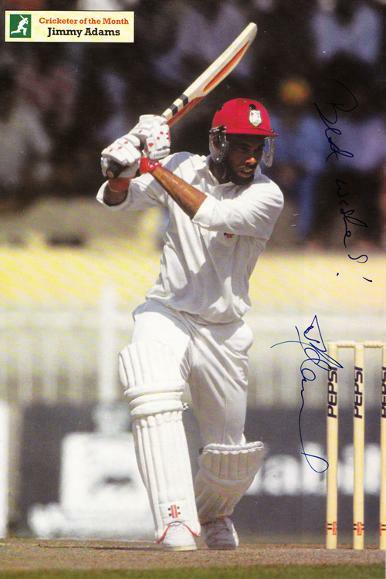 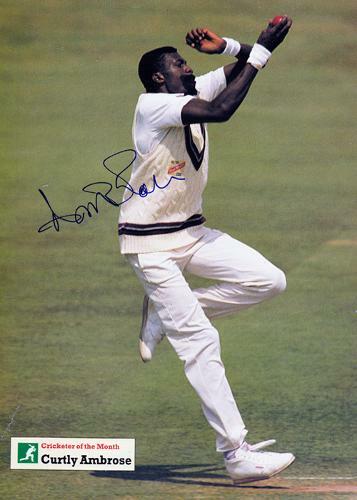 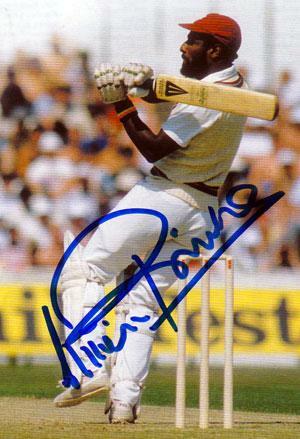 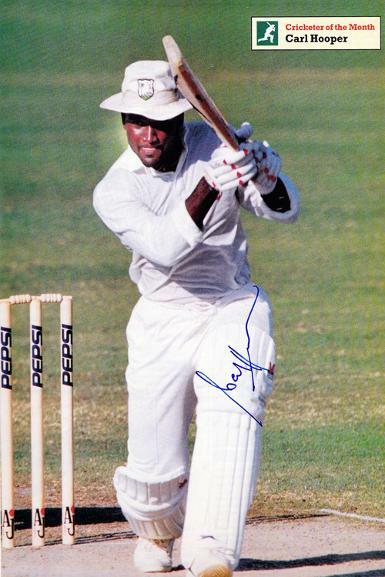 Also pic signed on reverse by Viv Richards. 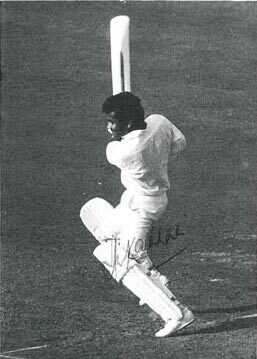 Signed "B&W magazine action pic. 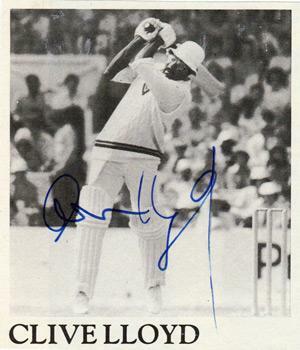 Approx size 6" x 4"
Signed West Indies B&W cricket pic. 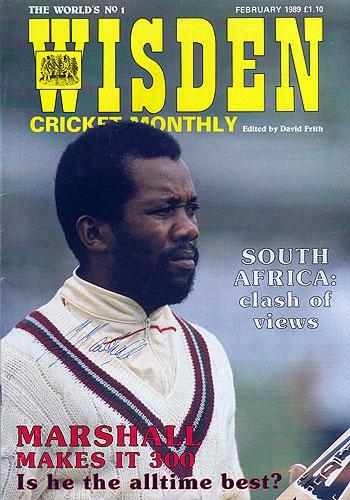 Signed 1989 Wisden Cricket Monthly magazine cover. 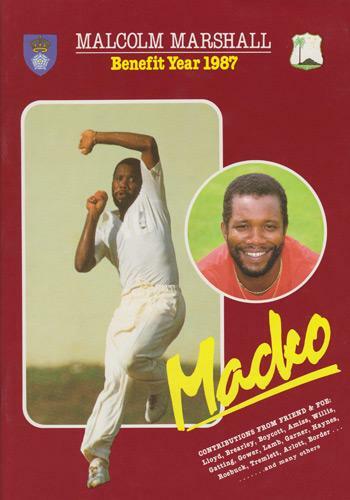 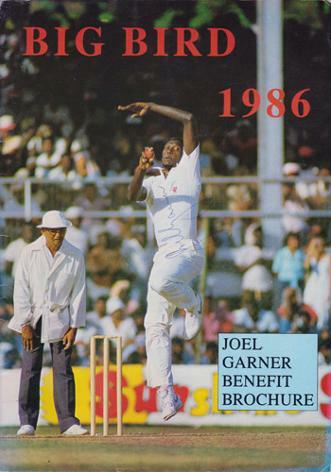 1987 Benefit Year brochure "Macko". 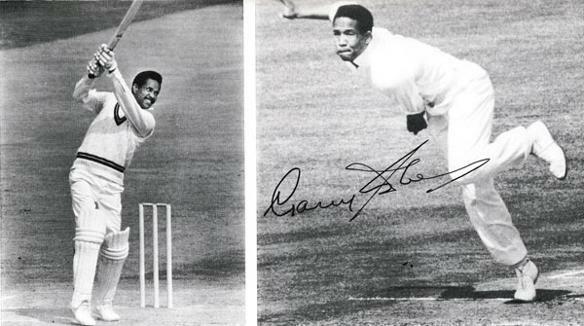 Signed B&W action photo + autograph. 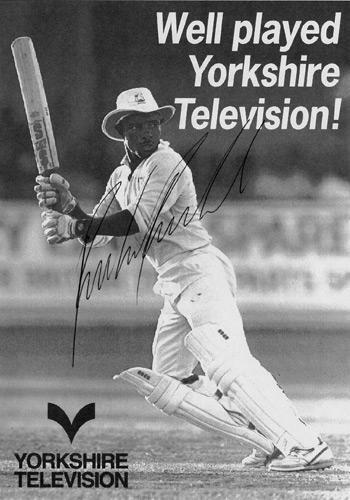 Signed Yorkshire CCC Gala Dinner menu. 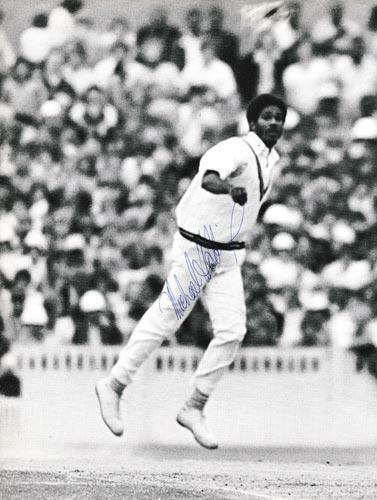 Signed B&W West Indies cricket pic clean bowling England captain Tony Greig during the 1976 Test match series. 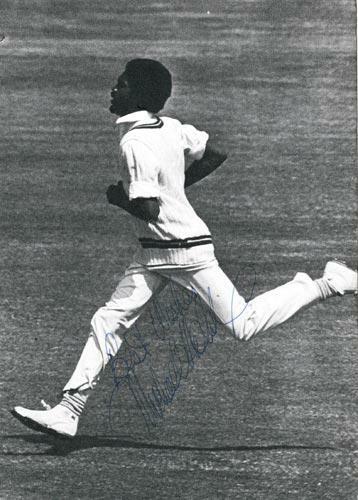 Signed B&W West Indies cricket pic bowling in Perth, in 1975, where he took 7 for 54 in the second innings of the 2nd Test against Australia. 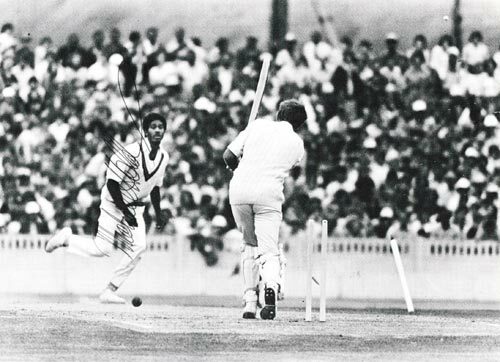 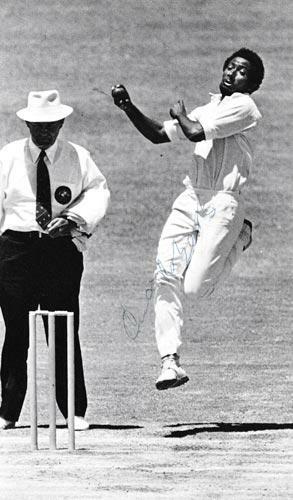 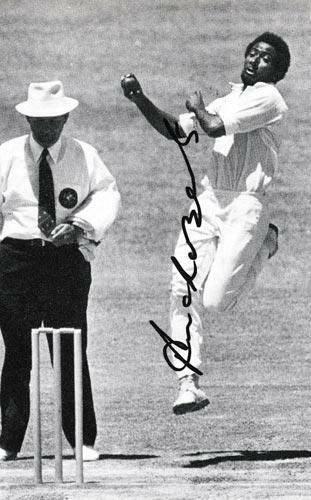 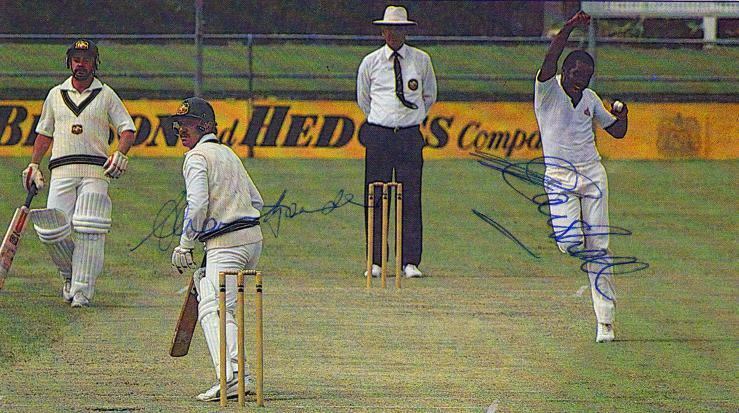 Signed small B&W West Indies cricket pic bowling in Perth, in 1975, where he took 7 for 54 in the second innings of the 2nd Test against Australia. 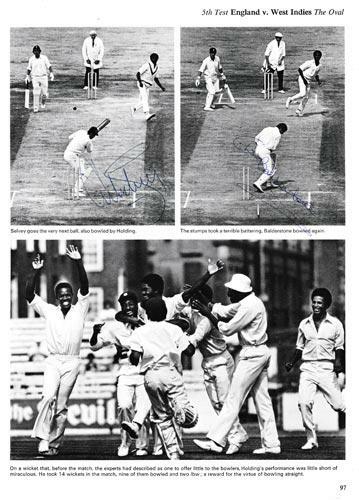 Signed B&W West Indies cricket pics showing Sobers batting and bowling. 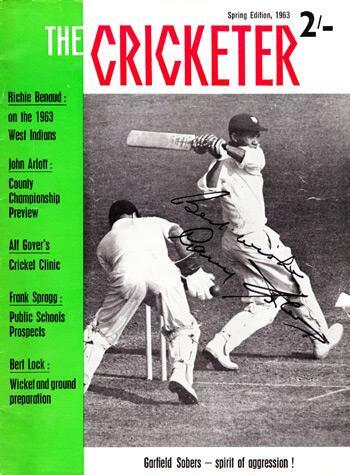 signed 1963 Cricketer magazine cover. 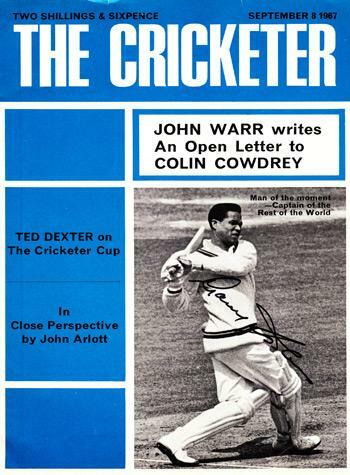 signed 1967 Cricketer magazine cover. 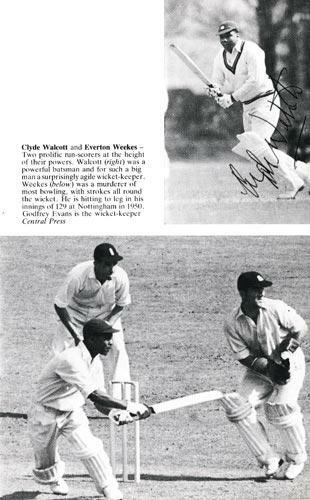 Signed B&W West Indies cricket pics showing Walcott and Everton Weekes batting in the 1950s. 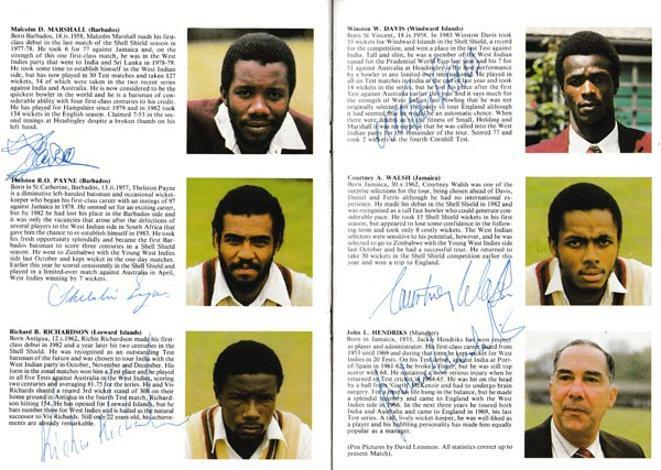 "CRICKETERS from the WEST INDIES"
& England (inc Mike Smith, Colin Cowdrey, Ken Barrington, Fred Titmus, Jim Parks). 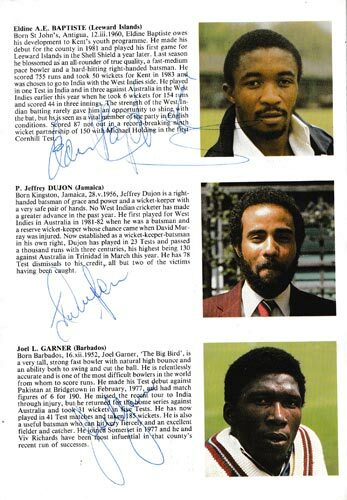 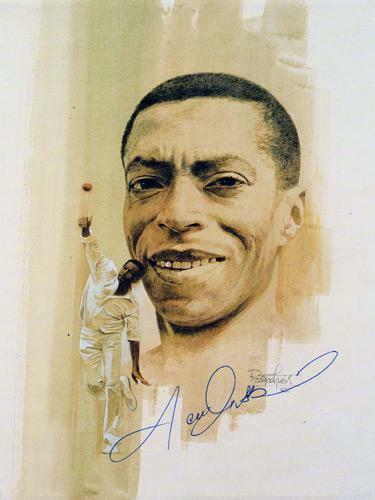 Touring team to England - printed autographs include: Viv Richards (captain), Malcolm Marshall, Desmond Haynes, Courtney Walsh, Curtley Ambrose, Jeffrey Dujon, Carl Hooper, Gus Logie, Patrick Patterson, Richie Richardson, Phil Simmons & Winston Benjamin. 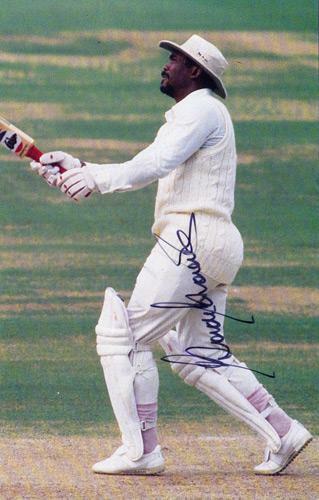 Autographs include: Viv Richards (captain), Malcolm Marshall, Brian Lara, Desmond Haynes, Courtney Walsh, Curtley Ambrose, Jeffrey Dujon, Carl Hooper, Gus Logie, Patrick Patterson, Richie Richardson, Phil Simmons & Lance Gibbs (tour manager). 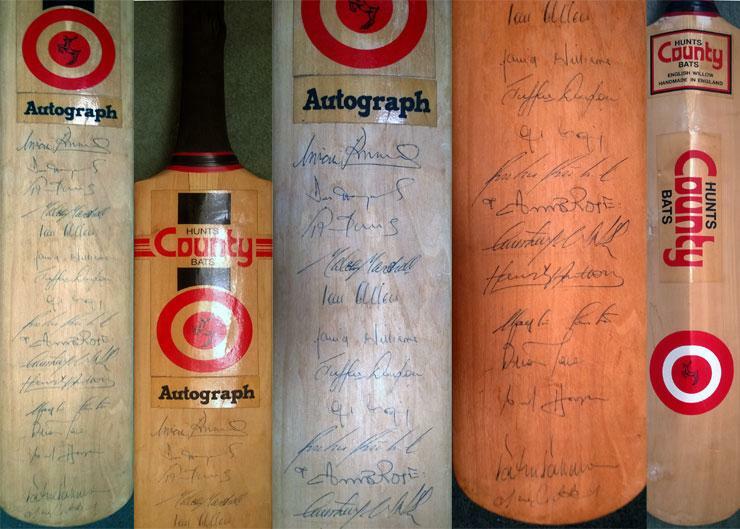 Click here for more Signed Cricket Bats.